With the informal deadline now expired, India has joined other major economies to submit its climate pledge to the United Nations. The world’s third biggest polluter aims at a massive increase of its renewable energy, to reach 40 per cent of its electricity from non fossil fuel sources by 2030. India’s plan comes as renewables boom worldwide, with new data showing they will be the biggest source of new power capacity in the next five years. India has also pledged to reduce its ‘emissions intensity’ by 33-35 per cent on 2005 levels and increase forest and tree cover to create a carbon sink for 2.5 to 3 billion tons of CO2 by the same year. With new figures showing the climate plans submitted so far will bend the global warming curve to 2.7DegC – significantly lower than before, but still in the danger zone – India’s plan further builds on recent positive momentum towards a strong Paris agreement that governments are due to agree in December. Warmly received so far, India says its submission represents its “highest possible effort” as it has “the right to grow” and develop as wealthy nations have. Research shows that it would be clearly in India’s best interest to double down on the clean development pathway and abandon its plans to double coal production. Its people overwhelmingly want action on air pollution and climate change, and the cost of doing too little is staggering and so far underestimated. Ambitious climate action and aggressive renewable transition will help India – and all other countries – reap vast rewards in terms of green jobs, reduced deaths from air pollution, and huge savings from avoided fuel imports. . . Climate plans submitted to the United Nations show that more and more countries are joining the transition from dirty fossil fuels to clean renewable energy. With major developing countries like India and China now on board, and consensus among nations on key elements of the new climate regime emerging, a global agreement in Paris this December is closer than ever. According to the Climate Action Tracker, national action plans issued by governments to date would bend the global warming curve to 2.7DegC, bringing the world much closer – but not all the way – to the internationally agreed 2DegC limit. While many demand deeper and faster cuts in emissions, the plans to date offer the foundation for a global agreement that could be ratcheted up over time. India’s plan has been welcomed by observers, especially its decision to boost renewables, which could help the country leapfrog dirty development. Research shows that ambitious action will help India reap vast rewards in terms of green jobs, reduced deaths from air pollution, and huge savings from avoided fuel imports. Massive investments in speeding up the renewable energy transition are also likely to have compound effects on the global energy sector, and new figures from the International Energy Agency already show renewables will be the biggest new source of power capacity in the next five years. Along with the unprecedented investments in clean energy by China, Brazil, the United States and other major economies, India’s push for renewables is tipped to drive clean energy costs down and lead to deeper, steeper cuts in emissions down the road. A fast transition to clean development makes sense, protecting India’s future and managing the challenges Indians face today. Public concern about air pollution and climate change is very high in India, with Pew Research noting that 74 per cent of the public think air pollution is a major issue. Hardly a surprise given the World Health Organization says the country is home to 13 of the 20 cities around the world with the most-polluted air, which is increasingly being linked with severe health impacts. Research shows that children in Delhi between four and 17 years of age are two to four times more likely to suffer adverse impacts to respiratory and lung functions, as well as vision, blood pressure problems and more. About half of the 4.4 million children who live in Delhi already have irreversible lung damage. The United Nations informal October 1st deadline has expired, and with India’s 11th hour submission, all major economies have now shared their national climate action plans with the world. Veterans who have been tracking the international climate negotiations for years suggest that we are now in quite a different place to where we were in the run up to 2009’s failed UNFCCC meeting in Copenhagen. The fact that more and more countries are putting forward national climate action plans signals the collective intend to end the fossil fuel age and embrace the dawning renewables era. Consensus among nations on key elements of the new climate regime is emerging, which leads many observers to believe that a global agreement in Paris this December is closer than ever. And according to the Climate Action Tracker, national action plans issued by governments to date would already bend the global warming curve to 2.7DegC, bringing the world much closer – but not all the way – to the internationally agreed 2DegC limit. Building on what appears to be growing momentum on the road through Paris, India’s Intended Nationally Determined Contribution (INDC) will see it aim to reduce emissions intensity by 33-35 per cent on 2005 levels, achieve 40 per cent of its electricity from non-fossil fuel-based energy resources, and increase forest and tree cover to create a carbon sink for 2.5 to 3 billion tons of CO2 – all by 2030. The country’s plans to develop its renewables supply show strong ambition. India has said it will develop 25 solar parks, supply 100,000 solar pumps to farmers and convert all 55,000 petrol pumps across the country to solar. This is what the transition from dirty fossil fuels to clean renewable energy looks like – ending energy poverty in developing country while securing a host of economic and environmental benefits at the local level. India’s emissions target is not the kind of absolute cuts to emissions that developed countries have pledged, and there is no peak emissions or coal use in sight for India, like there is in China for example, but the country says its submission represents the “highest possible effort” it can offer as it has “the right to grow” and develop as wealthy nations have. Observers have suggested that the emissions reduction target is conservative, but that the massive push for renewables could easily see India’s energy transition accelerate and lead to deeper and faster cuts in emissions than currently pledged. As IEEFA detailed in a recent report, well over US$100 billion has been committed in India’s renewable sector in 2015 alone. A number of leading Indian firms have made significant new capital investment commitments to renewables. ReNew Power, Welspun Energy, NTPC, Reliance Power, Tata Power and Suzlon Energy have collectively announced tens of billion dollars of proposed investments in Indian solar and wind projects in recent months. Adani alone has announced a total of US$16 billion to be invested in solar in India across seven projects. Major global corporates like Trina Solar, SunEdison, First Solar, ABB, Engie, Enel Green Power and China Light & Power are increasingly looking to accelerate this transformation by bringing global capital and technological expertise to India. And the joint SoftBank, Foxconn and Bharti Enterprises commitment to invest US$20bn over the next five years in Indian solar is a key milestone showing the international endorsement of this transformation. These encouraging trends also suggests that India would benefit from rethinking its plans to double coal production to about one billion metric tons by 2020, which could spell trouble for both its economic development and the planet. There is simply no space for new coal in a carbon constrained world, and the cost of unambitious action is already staggering and underestimated. Going further down the coal path locks in risk, expense, health costs and volatility that neither India nor the world can afford. Ambitious climate action and aggressive transition to renewable energies will help India reap vast rewards in terms of green jobs, reduced deaths from air pollution, and huge savings from avoided fuel imports. Thankfully, despite hedging bets with coal, Prime Minister Narendra Modi has taken the renewable message to heart. India’s commitment to boost renewables is promising, particularly given renewables offer the best chance to lift the country’s poor out of energy poverty and provide a host of benefits to the nation. China’s coal-driven “airpocalypse” is often used as the poster child for the need to reduce fossil fuels, but India has its own – often as bad and sometimes worse – problems with air pollution. This would only be exacerbated by increasing coal use and unambitious climate action. Public concern about air pollution and climate change is very high in India, with Pew Research noting that 74 per cent of the public think air pollution is a major issue. Hardly a surprise given the World Health Organization says the country is home to 13 of the 20 cities around the world with the most-polluted air. India’s dirty air is already being linked with severe health impacts. The Kolkata-based Chittaranjan National Cancer Institute (CNCI), for example, has found that children in Delhi between four and 17 years of age are two to four times more likely to suffer adverse impacts to respiratory and lung functions, as well as vision, blood pressure problems and more. 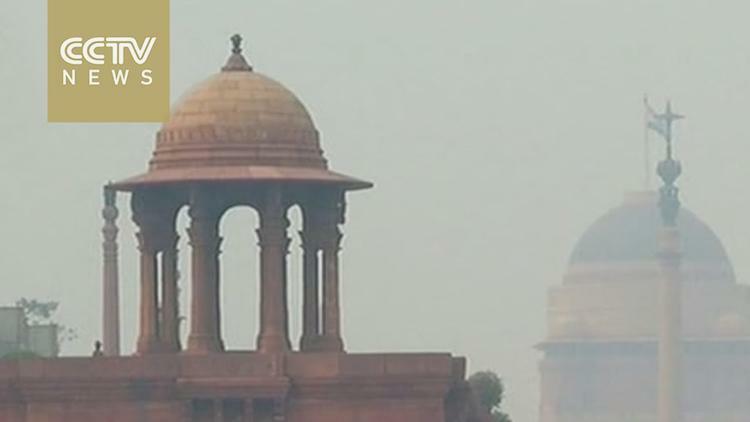 The institute found that about half of the 4.4 million children who live in Delhi have irreversible lung damage. Like the rest of the world, India is at a crossroads, facing some tough choices. But in light of recent political dynamics in favour of a Paris agreement, growing public support for climate action around the world, and strong market signals that suggest the end of coal and a continued boom for renewables, the direction of travel for the coming decades seems to be clear: out of fossil fuels, and towards 100% renewables. Paris is where the world can decide to end the fossil fuel age for good, to fully embrace the dawning renewable energy era, and to build resilient communities free from poverty and inequality. It’s where responsible governments agree how to speed up the global energy transition that people all over the world are spearheading. This will increase our chances to keep global warming well below 2degC – the threshold beyond which scientists tell us climate change is going to spin out of control and threaten civilization as we know it. Governments gathering in Paris can ensure that the transition is just and orderly, or alternatively spend the rest of their careers cleaning up climate disasters. Paris, on its own, won’t be the end of the journey, but it can be the moment where we choose the right direction and make headway towards our destination. Change picks up speed once it has a certain momentum. Making the decision to shift is the hardest part, and that’s what Paris has to do.